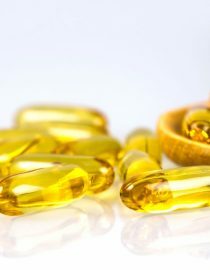 Vitamin D and Fibromyalgia: Could There Be a Link Between Them? As a fibromyalgia sufferer you may feel misunderstood. You may have spent years searching for a diagnosis or were misdiagnosed; after finally receiving your diagnosis, you may have felt relief — but you still do not have a cure for your disease. Although fibromyalgia is not very well understood, everyone agrees about one thing: it is painful. This never-ending pain can cause other symptoms, such as anxiety, depression, restless sleep and other mood disturbances. As we don’t know the cause of fibromyalgia, typically treatment of fibromyalgia is aimed at easing symptoms. Initially you probably noted your doctor prescribed you an antidepressant, which is common for fibromyalgia. Pain relievers are often prescribed, but if you have spoken with other fibromyalgia sufferers, you’ve probably noted that everyone is different in terms of pain relief. The downside to pain relievers is they may have undesirable side effects, which can make living with fibromyalgia that much more uncomfortable. Although you may require antidepressants, prescription and over-the-counter (OTC) pain medications to function, what if there were other remedies to treat your fibromyalgia? Vitamin D and Fibromyalgia — Is There a Link? Several recent studies have shown sufferers of fibromyalgia are also vitamin D deficient. In Belfast, those with fibromyalgia had low levels of vitamin D on laboratory tests. In the U.K., 43 percent of women with fibromyalgia had diminished vitamin D levels, whereas only 19 percent of those without fibromyalgia had diminished levels. However, in comparable studies in Israel, Brazil and Turkey, research did not show a correlation between vitamin D levels and fibromyalgia risk. At this time, we can assume that more research needs to be done on the topic. However, we cannot rule out vitamin D as a contributing factor into fibromyalgia development or symptomology. It is thought that if vitamin D does in fact assist with decrease symptoms in fibromyalgia, it does so by reducing inflammation. At the very least, it is reasonable to have your vitamin D levels checked and treat your levels appropriately. It may not help your symptoms — but there is a possibility it might. If your doctor monitors your serum vitamin D levels, an adequate level is about 50ng/ml. Anything lower than this may require supplementation, increasing food sources, and increasing sunlight exposure. Supplementing with pills is an easy way to get the extra vitamin D your body requires. The supplements may reduce pain and are also a fairly inexpensive alternative therapy. The vitamin D supplements may help with other symptoms associated with fibromyalgia as well, such as sleep issues, anxiety and depression. In fact, in the research journal Pain, researchers noted that fibromyalgia sufferers who regularly took vitamin D supplements noted less pain and morning fatigue than those sufferers who did not. Our primary way of vitamin D is through sunlight, but we can also get it through supplements and food sources. The easiest way to get vitamin D is through the sun. To get vitamin D this way, our skin should be directly exposed — this means no sunscreen. It should be exposed for approximately 10 to 15 minutes, about three times per week. After that length of time, we do need to worry about putting on sunscreen for skin cancer prevention. Oral supplements can also be taken if you are vitamin D deficient. Although you can pick up vitamin D OTC, it is best to let your doctor prescribe you a dose based on your serum vitamin D levels to ensure you get the correct dose for your needs. Getting your vitamin D through your food may be a bit more difficult, but it is possible. There is only a small amount of foods that actually contain vitamin D, although there are foods that are fortified with vitamin D.
It is best to follow your doctor’s advice when it comes to supplementation. If you think you are vitamin D deficient, work with your doctor to create a plan to treat the deficiency. It may take a combination of sun exposure, vitamin D supplementation, and increasing your intake of vitamin D-rich foods to begin to feel symptom reduction. Keep in mind that it may take time for vitamin D levels to normalize, so it may also take some time for symptoms to reduce. Also remember the research regarding vitamin D is not complete, so it is best not to expect a cessation of symptoms, but perhaps a reduction in symptoms.